An increasing number of people across North Carolina are getting their concealed handgun permits (CHPs), also known as a CCH permit. Since 2000, CCH permits, as well as NC's population, have grown. At the end of 2000, there were a little more than 46,000 CCH permits issued across the state. As of March 2019, the number of permits has risen to 604,737, which is the 10th highest in the country. In the same time period, the state population rose from 8 million to 10.2 million. 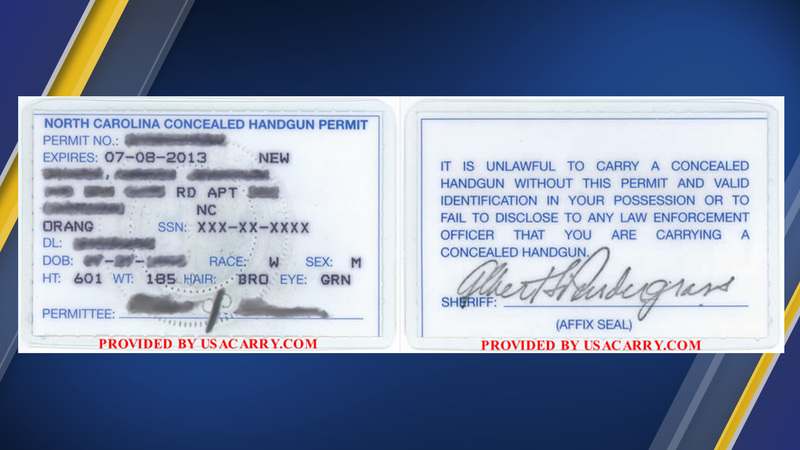 If you are interested in getting a CCH permit to protect yourself, but don't understand the process for getting one, ABC11 is here to break it down for you. In order to get a CCH permit, you must be 21 years of age or older, and be a US citizen or have been lawfully admitted for permanent residence in the United States. There are also other requirements, such as a clean background check and mental health check. For a more detailed list, you can click here. If you find yourself eligible to get your CCH permit, you must begin the process by taking a concealed carry class. Yes, the class is a tad time consuming, and yes, it can be inconvenient, but it's required to get the permit. Essentially, the course will break down all the do's and don'ts for conceal carrying a pistol, and test your ability to handle and shoot one. Fortunately, these classes are taught all over the place. Concealed carry classes come in two forms: a single-day 8-hour class or a multi-day class. Usually, the single-day courses are taught on the weekend and they are very popular since you get to knock out the class in one day. However, if your schedule doesn't permit it, some places, such as Triangle Shooting Academy in Raleigh, offer the course over a span of several days. If you take it over several days, you will usually spend about 3 hours each day in the class for about 3 days. In a nutshell, concealed carry courses consist of two parts: an in-class part and a shooting part. For the first several hours, you will sit in a classroom and an instructor will go over all the various laws and restrictions that come along with a CCH permit. For example, did you know that conceal carrying a gun, even with a permit, is illegal in NC if you've had even a drop of alcohol to drink? These are the kind of important facts you will learn in the class. After several hours of learning, you will take a written test, and you must pass it to move on to the shooting portion of the class. After passing the written test, you will have to pass a range test. For this test you can use your own pistol, or, depending on the instructor, borrow a pistol. 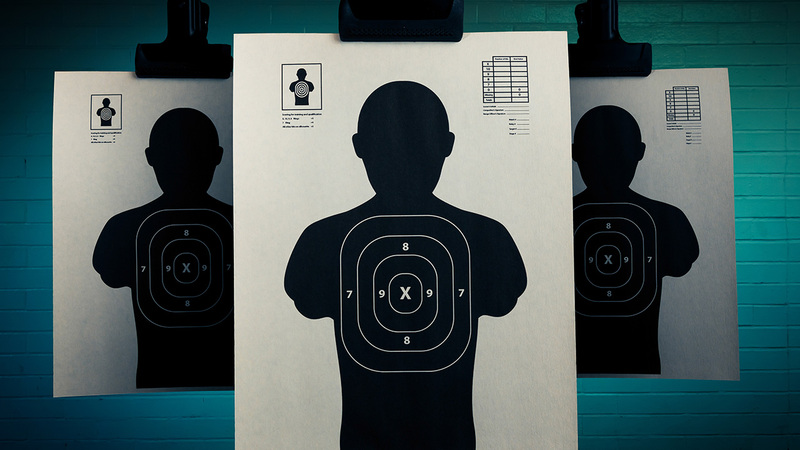 In this test, you will shoot at a paper target from 3 yards, 5 yards, and 7 yards away. At each distance, you will fire a certain number of shots (this varies depending on the course) and have to land a certain percentage of them on the target. For the vast majority of classes, you must land 70 percent of the total shots you have taken. If you pass this part of the course, you will receive a signed certificate from your instructor with your name on it, stating that you have passed the course. If you've gotten this far, congratulations, the hard part is over. Once you have completed your concealed carry course, you must apply for a permit at your county's sheriff's office. In Wake County, for example, the sheriff's office is located at 330 S Salisbury Street in Downtown Raleigh. Before you even go down there in person, you can usually register online for a CCH permit appointment. If you live in Wake County, that link can be found here. Registering online also allows you to pay your CCH permit fee ahead of time. After you've scheduled with the sheriff's office and go down there for your appointment, you will be asked to present your CCH class certificate and driver's license. If you were not born in the US, however, you will most likely be required to bring additional items. Please check your sheriff's office website for those details. After you have presented everything, the sheriff's office will ask you to fill out some paperwork, take your fingerprints and send you on your way. Do keep in mind that the sheriff's office now has to conduct a very extensive background check on you, and it usually takes between 45 and 90 days to complete. This includes a check of criminal offenses within the five years prior to your application and a mental health check. To view the full list of what is screened for in the background check, you can click here. You must meet ALL of the requirements to get your CCH permit. When the time has come and the background check is complete, one of two things will happen, depending on the county you live in. You will either be notified that your permit is ready, via text or email, and you will have to pick it up in person at the sheriff's office, or the sheriff's office will mail it to your home directly. In Wake County, the sheriff's office will just mail it to you. In North Carolina, CCH permits are basically just a little piece of paper about the size of a business card. As you may imagine, they are very susceptible to water damage, and it is highly recommended that you get it laminated. Sheriff's offices will usually do this for you, or you can have it done yourself. Once you have your permit in your hand, you are free to conceal carry a handgun, as long as you abide by the law. No matter which county you get your permit from, it will be recognized across all NC counties. Your CCH permit is good for 5 years. If it expires, you will have to retake a concealed carry class and repeat the whole process over again, so it's best to renew it if you have one.